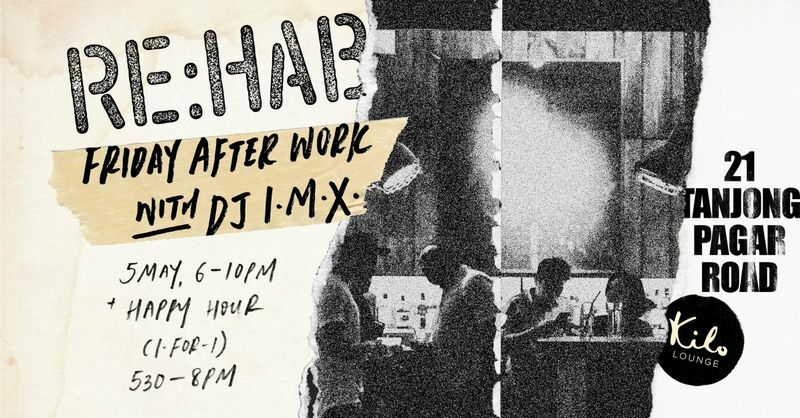 Re:Hab returns to Kilo Lounge for another installment of this Friday Afterwork Session. Re:Hab is the perfect way to wind down after a hard week of work with a cool cocktail or an ice cold beer. Since it's successful start at the now defunct CATO, Re:Hab has really established itself in the Singaporean scene. Bringing a relaxed atmosphere, good vibes and awesome people. Music wise, you can expect an eclectic mix that spans chill and downtempo, sunset vibes, classic house and reggaeton, with a healthy dose of jazz and latin and bossa nova influences. Re:Hab will smoothly blend into the Friday night programming with Kilo Lounge presents Hyenah (Rise/ Freerange Recs) with Oliver Osborne (Kindred/ ETTF), giving you the always wise choice to stick around and really top of that week in style! Free entry until 10pm. If you exit the club, re-entry is necessary for the night program.